The big holiday is fast approaching and as if you’re not busy enough we’ve got all these beer events to attend. Way more fun than your office party. Wickedly weave your wrath into a wreath or act like a normal person and make something pretty for your door or hearth. Either way, have a beer while working your wreath magic. Grab some friends and get Crafty while enjoying some delicious Craft Beer this Holiday Season! Create and customize a holiday wreath with Paint ’N Play RVA at Hardywood Park Craft Brewery Richmond. Instructors will provide a demonstration and orient you with all the materials used in creating a beautiful wreath. Fresh local greenery, pine cones, wreath forms, multiple ribbon colors, decorative berries, & wire supplied. Please bring your own gloves and clippers. Advance ticket purchase required. $46 covers all materials, instruction, and 1 drink ticket. Nine out of ten personal shoppers say that shopping after drinking two beers is the best kind of shopping. Veil is making this optimum shopping experience accessible to those in Scott’s Addition. Tis the Season! Tapped and Wrapped will be joining us December 7th-9th to start off the holiday season with over 45 vendors and makers for three days. One stop shopping for gifts and leave with your gifts wrapped and ready! The name alone is enough to pique my interest and a bunch of sour, funky beers and you’ve got a great weekend. 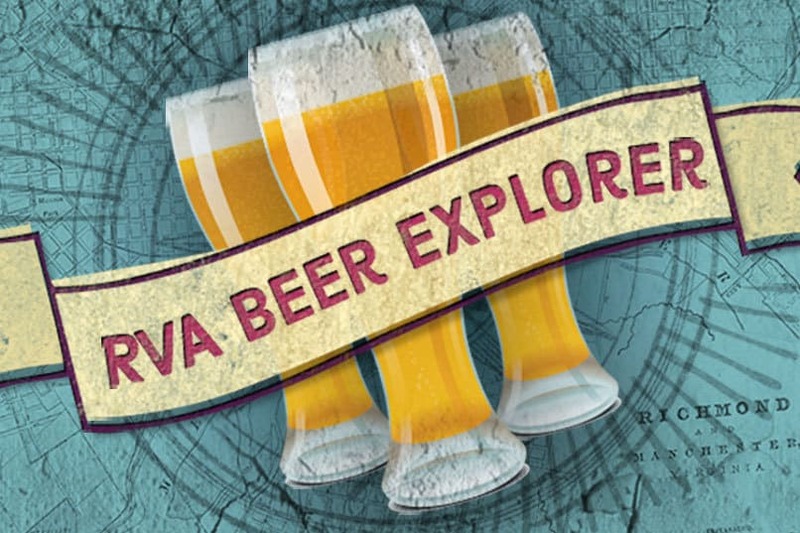 A sour, funky, and wild beer festival featuring some of Virginia’s premier breweries and cideries. 20% discount if you get a cottage as well. Tickets are $16 presale and $20 at the door which includes entry, festival glass, and three beer tokens. Additional beer tokens will be sold for $3 which gets you a 4oz pour of any of the festival beers. All beers are first come first served until they run out. A full list of these funky and sour beers will be announced closer to the festival date! Old Money will be playing from 3:30-6:30. ‘Tis the season for craft shows. ‘Tis always the season for a beer so not surprising that the two would be combined during this time of year. Center of the Universe is proud to present the 2nd Annual COTU Christmas Market! Looking for something unique for that hard to buy for person on your list? Or, are you just looking for a little something for yourself!?! Well don’t worry, we have you covered. We will have 13-15 handcrafted vendors at the brewery for a one day market for all your shopping needs. Admission is free and proceeds will benefit a local school! A chance to celebrate having all your holiday shopping done or a chance to push it off for another week. Drinking for a great cause! We know you’ve lasted through Thanksgiving and braved Black Friday…So, on Small Business Saturday why not support a local charity, a local distributor, a local brewery and four local bar/restaurants! The first 24 guest pay $10 to get an exclusive t-shirt and your first beer (limited quantities)! If you don’t get the shirt, you can still receive $5 Ardent core beers and also a $5 app pairing. We’ll start Foo Dog: Asian Street Food at 5:30 PM. Drop your canned goods here to support Feed More and receive raffle tickets for a special drawing at the final stop! – At 6:15 PM we’ll move to Home Team Grill in the Fan. – At 7:00 PM onward to District 5. – Finally, 7:45 we march to Pizza&BeerRva. We recently learned that a (somewhat) local staple, the California-based-but-Richmond-beloved Stone Brewing, has teamed up with a nut butter company. Yep — beer-flavored peanut butter is a thing that exists, and you can get it in Richmond. Nutista made its way onto the market last year with a lineup of products like the Mountie, which features raw cashews, sprouted almonds, dry-roasted peanuts and raw pecans. If you’re thinking about a classic PB&J, this one is your best bet. Listen up, ya dingus! We have a new beer for you this Wednesday and it’s better than a special TGIF treat! Tim and Matt Awesome Beer Great Job! is packed with Amarillo, Citra and Simcoe. This 6.5% IPA is exploding with floral and tropical fruit aroma that will have Bread Harrity tunes playing in your head all night long. Orange and grapefruit juice are balanced with a faint presence of pine. Coming in just as intense as before but lasting only but a brief time, Solar Flares DIPA – brimming with Mosaic, Amarillo, and Citra erupts from the Final Gravity taps this Friday at 8% ABV with flavors of tropical fruit, lemon zest, and pink grapefruit. Available by the glass and to-go in Growlers and Crowlers. We’ve heard the requests so we decided to bring this gem back. Redneck Soap Opera is a spiced Belgian-style Quad with whole Madagascar vanilla beans, fresh orange peel, ginger, cinnamon, clove, star anise and nutmeg aged in beautiful Nicaraguan dark rum barrels. She is a labor of love that we can’t wait to share. Keep your eyes out for this release at the farm and our Shockoe Bottom location. Cheers!